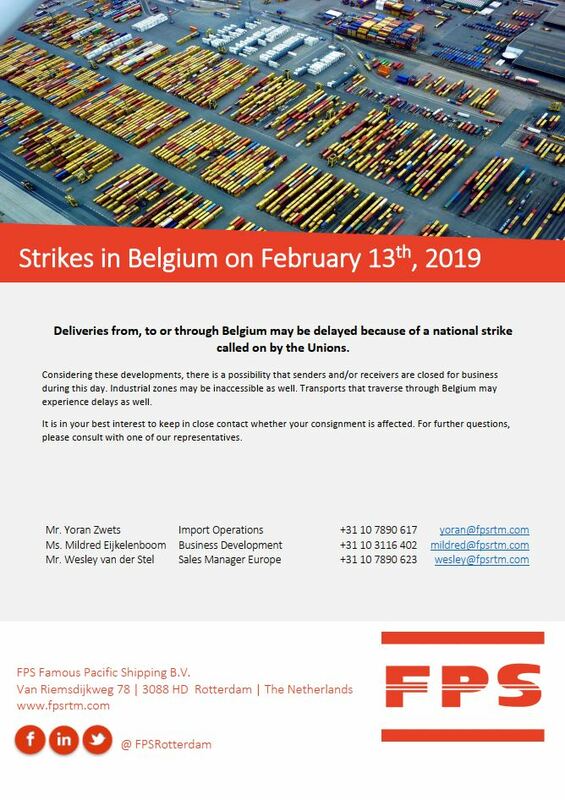 Deliveries from, to or through Belgium may be delayed because of a national strike called on by the Unions. It is in your best interest to keep in close contact whether your consignment is affected. For further questions, please consult with one of our representatives.